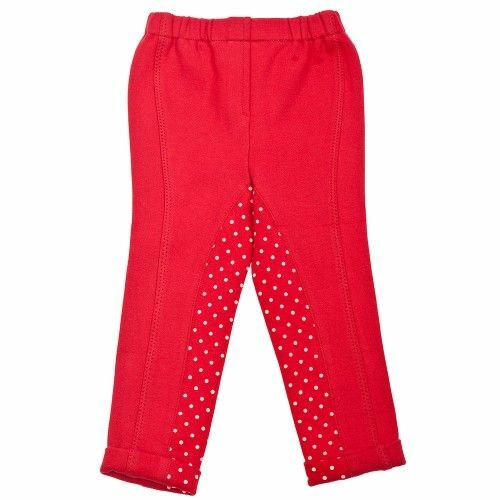 Put a bit of fun into your tots riding with these great polka dot tots designs. A hard wearing tots jodhpur made from knitted cotton with Spandex that is comfortable, practical and fun. The slightly raised polka dot material aids grip in the saddle. Pull on jods with stretchy waist.